Oh But MY Darling What if You Fly? "18 Ingredients to Make Daddy" A girls recipe to create her perfect daddy. Using dance as a creative element to teach discipline, creativity, communication, and personal worth. My name is Trashina Conner. I am a 28-year-old native from Saginaw, MI, where I began dancing at a young age. 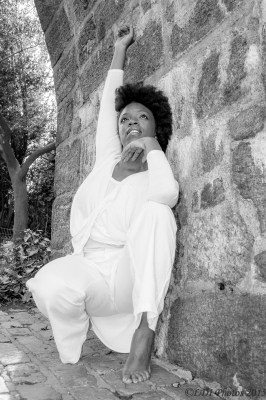 My passion for dance evolved through life eventually leading me to Howard University, where I attained my BFA in Theater Arts with a concentration in Dance in 2011. Immediately after school, I moved to New York City where I currently reside. Since living here, I have had the immense pleasure of performing with Def Dance Jam Community (2011-2015). Mickey D. and Friends (2011-Current), Vashti Dance Theater (2015-2016). In 2014, I premiered a self-choreographed piece '3.26.06' as a solo artist with BalaSole Dance Company. I have worked with choreographers: Ronald K. Brown, Dianne McIntyre, Nathan Trice, Lisa Johnson-Willingham, Michael Leon Thomas, and others. When not performing, you can find me in a classroom, cafeteria, or music room teaching dance to the young scholars of NYC. My aim is to bring discipline, communication skills, self-love, and a safe space for personal expression to my students through jazz, contemporary, ballet, swing, sign-infused dance, and improvisation. In 2015, I began the process of writing and publishing my first children's book "18 Ingredients to Make Daddy". In the book, you will learn of MJ's recipe in creating her 'perfect' daddy. 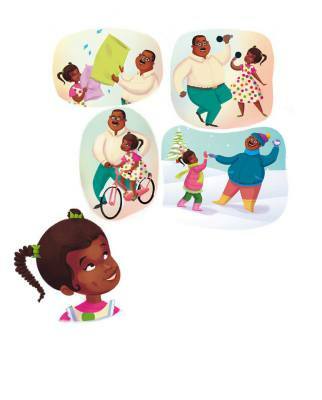 With this book, my hope is to shine light on the importance of father and daughter relationships and also salute all fathers who attend dance recitals, braid hair, read bedtime stories, and when their child says "Daddy" they're there.